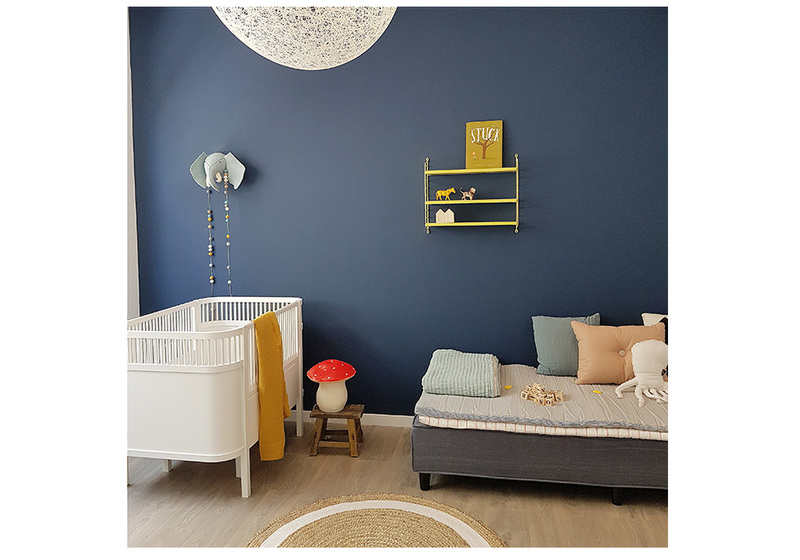 Continuing our series of nursery decor with Interior Stylists Live Loud Girl, this time we will be focusing on how to create a calm haven for your little boy. Here they explain how to balance tranquillity while still adding pops of colour and accents that will draw eyes around the room. 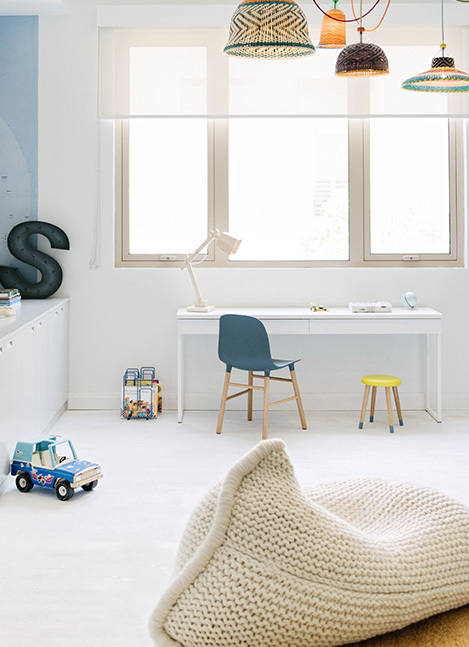 From playful touches to practical pieces, here is what you need to know to transform your little boy’s room into a serene sanctuary. 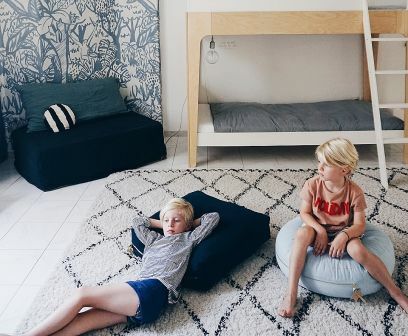 We love creating spaces for boys, maybe I’m partial because I have boys myself! 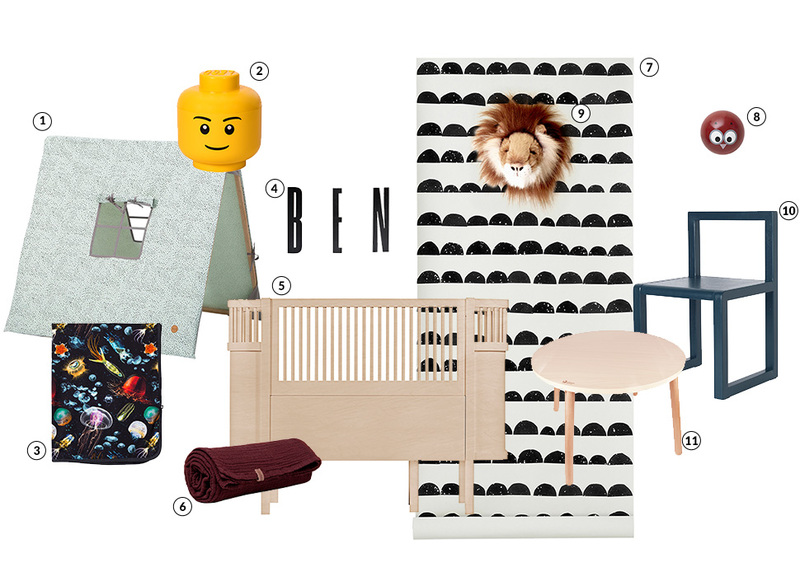 Over the past few years, we have learned to find the balance between keeping a boys nursery sweet (for that tiny newborn) and fun (for that boy that will be walking to his own bed in no time). 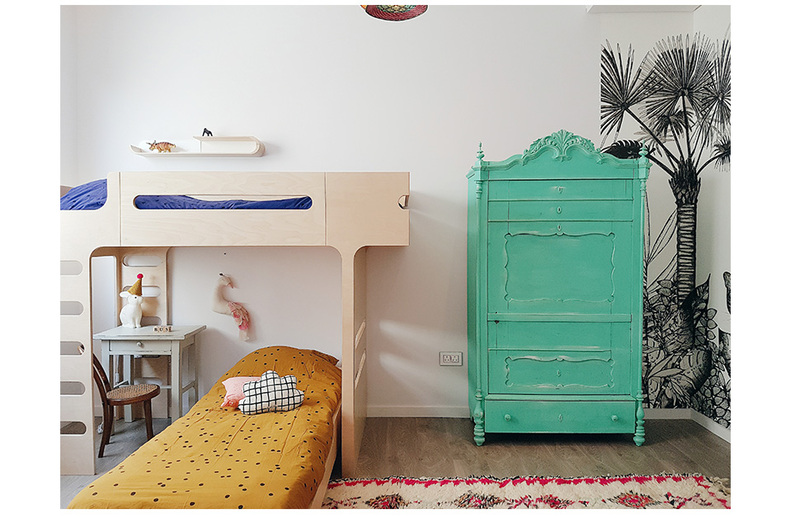 Our mantra is to always create spaces that kids will grow into, not out of. A room should always have a point of interest, and the easiest way to do this is by adding a statement wall. It’s a quick fix and has such a big impact! With all the beautiful colour palettes and wallpapers available these days, creating a statement wall is super easy. We love this half moon wallpaper, as it’s timeless, stylish and goes with almost everything! As for the cot, we chose this classic Sebra cot which can grow along with your boy. It is suitable for kids from 0-7 years old and is, therefore, a great investment for the room. The rounded corners and colour make this a beautiful statement piece. A contrasting burgundy swaddle is perfect for warm summer evenings. We prefer to keep a bedroom for sleeping rather than playing, but it can be nice to have a little nook to cosy up in, you don’t need much more than a teepee and a soft blanket. Simply add a wooden table and chair, and you’ll create a place for reading too! These are great items to purchase, as they can stay in the room for years to come. 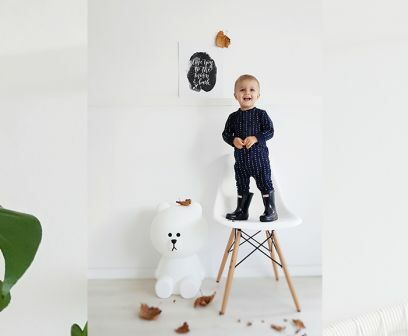 Going back to the walls, these Lion heads from Swedish brand Roomfriends can give the space a whimsical effect, while the black wooden letters add a personalised touch. 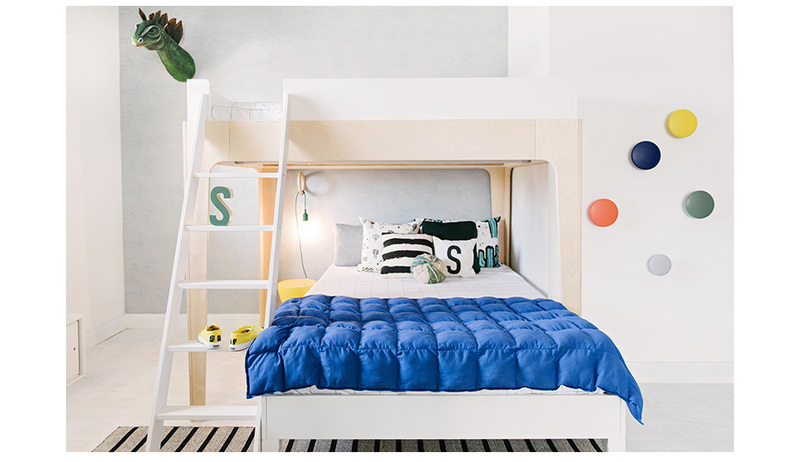 A kid’s room is full of possibilities! There are endless accessories, furniture and beautiful bedding that can really liven up the space, but it’s important to start with a blank canvas, and white walls are great for that. 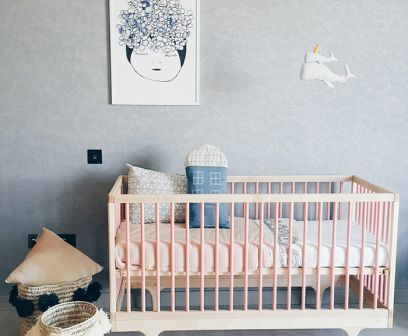 A kids’ bedroom is a place where they also spend long, peaceful nights, so it is important to keep it calm and relaxing. You can still add fun items yet keep in mind that this is a space to wind down. If you love bright, bold colours, make sure you balance this with some clean lines and neutral shades. Try to step away from the typical items and colours. A colour knows no gender and kids don’t stereotype. Think about your child’s character rather than ‘pink is for girls and blue is for boys’. Think ahead. Give children a space that they can grow in to, not out of. Use the right colours, furniture and materials that they will still like in a few years time. With accessories, you can always tweak them and reuse in a different way depending on their particular age or phase.